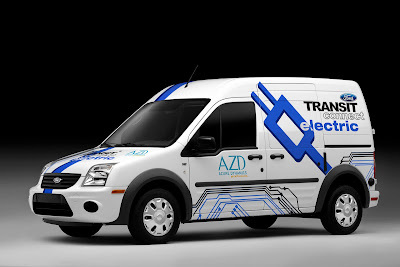 Azure Dynamics and Ford recently announced they have begun shipping the Ford Transit Connect Electric Van to customers in North America and Britain. The vans are assembled at AM General based just outside Detroit. Currently a single shift produces about seven or eight electric Transit Connect vans per week. Azure Dynamics plans to sell 600 to 1,000 of the commercial vans in 2011 and double that in 2012.